Many British pet owners already have veterinarians insert chips under the skin of dogs, cats and rabbits in a bid to keep track of their animals. LONDON — Dog owners who refuse to fit Fido with a microchip may someday find themselves fetching a hefty fine, the British government said Wednesday. All dogs in England will have to be fitted with microchips by 2016, authorities said, meaning that canines across the country will be chasing cars with a tiny circuit embedded in the back of their necks. Britain’s Environment Department said that the chips would help reunite owners with lost or stolen pets, promote animal welfare and take the pressure off shelters. Many British pet owners already have veterinarians insert chips under the skin of dogs, cats and rabbits in a bid to keep track of their animals. 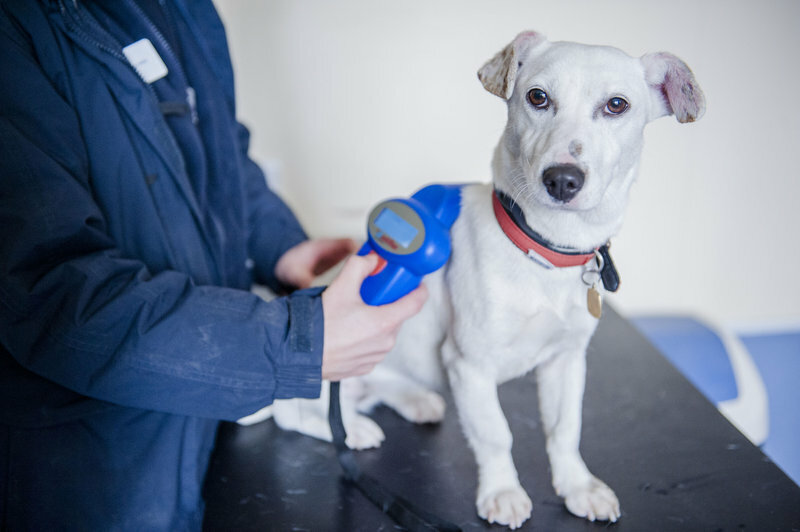 The Environment Department says 60 percent of Britain’s 8 million pet dogs already have microchips, which can be scanned and matched to their owners’ details. Owners who refuse to fit their dogs with chips face fines of up to $800. Horse owners have had to chip their animals since 2009, a spokeswoman for the Environment Department said Wednesday. The chips will remain optional for cats — because dogs are out in public more often than their feline counterparts, a spokeswoman said. Different parts of the United Kingdom have different rules governing pets: The chips are compulsory in Northern Ireland; Wales is considering such a move; Scotland has no such rule.